Gholami, A., Asgari, H., Zeinali, E. (2014). Effect of Different Tillage Systems on Soil Physical Properties and Yield of Wheat (Case Study: Agricultural Lands of Hakim Abad Village, Chenaran Township, Khorasan Razavi Province). International Journal of Advanced Biological and Biomedical Research, 2(5), 1539-1552. A. Gholami; H.R. Asgari; E. Zeinali. "Effect of Different Tillage Systems on Soil Physical Properties and Yield of Wheat (Case Study: Agricultural Lands of Hakim Abad Village, Chenaran Township, Khorasan Razavi Province)". 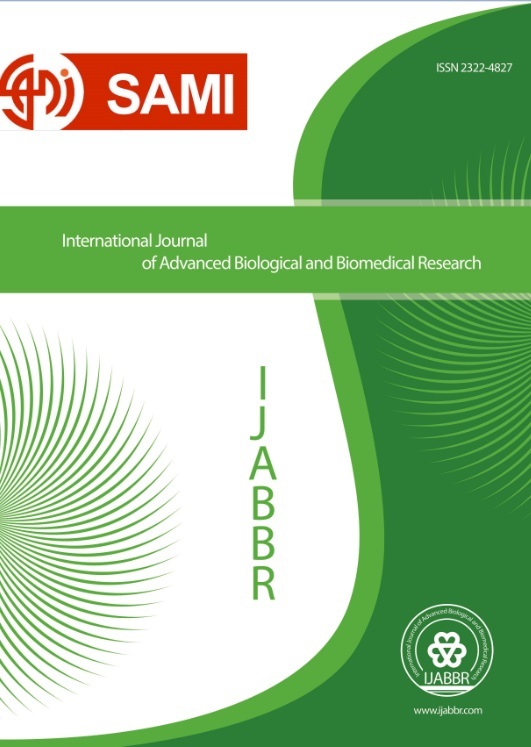 International Journal of Advanced Biological and Biomedical Research, 2, 5, 2014, 1539-1552. Gholami, A., Asgari, H., Zeinali, E. (2014). 'Effect of Different Tillage Systems on Soil Physical Properties and Yield of Wheat (Case Study: Agricultural Lands of Hakim Abad Village, Chenaran Township, Khorasan Razavi Province)', International Journal of Advanced Biological and Biomedical Research, 2(5), pp. 1539-1552. Gholami, A., Asgari, H., Zeinali, E. Effect of Different Tillage Systems on Soil Physical Properties and Yield of Wheat (Case Study: Agricultural Lands of Hakim Abad Village, Chenaran Township, Khorasan Razavi Province). International Journal of Advanced Biological and Biomedical Research, 2014; 2(5): 1539-1552. This research delves into investigating the effects of different soil management practices on soil physical properties, yield and yield’s components of irrigated wheat. This experimental design was administered in the form of the nested testing with three treatments (no tillage, low tillage and conventional tillage) and three replicates in some of the farmlands of Chenran Township. The results obtained showed that different soil management practices could cause significant changes in the soil bulk density, porosity and weighted moisture content. With the change of management type from no tillage to conventional tillage, soil bulk density declined from 1.41 to 1.29 gr.cm-3 while soil porosity rose from 47.58 to 52.45 %. Weighted moisture content in the conventional management system produced the maximum quantity (that is 15.35%) while for the no tillage system this declined to as low as (6.75%). Different systems of soil management significantly affect yield and yield components of wheat. In this case, the conventional tillage produced the maximum level of grain yield (6825 kg.ha-1) as opposed to the no tillage system (5220.83 kg.ha-1). The conventional tillage system produced the highest level of thousand-grain weight (43.38g) as well as harvested crop (25.57%). Although the conventional tillage compared with no tillage reached higher levels of crop and crop yield but it seems that the results of long runs are quite different with those of short term application. On this ground, performing studies of longer time intervals for various climatic conditions is recommended.